He mesmerized listeners with his soulful voice at the mere of ten and went on to gather cross over fans with his baritone voice during his prime. 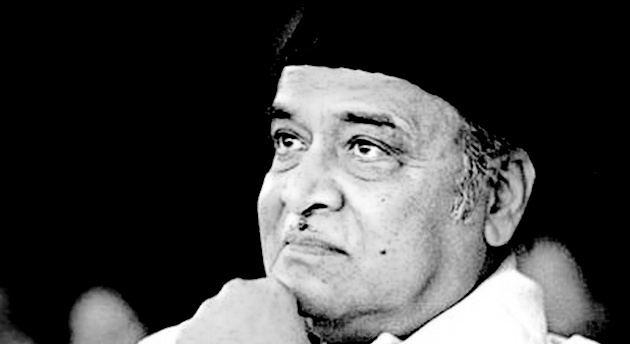 Dr. Bhupen Hazarika is considered today the last of the great mass singers and the only great ballad singer alive in India. Let’s take a moment to blow the candles for this noted music director, playwright, actor, journalist, author, lyricist, politician and film-maker of the highest repute from Assam, India. Wish you a very Happy Birthday 'Bhupen da'. Bhupen Hazarika did his Inter (Arts) in Guwahati in 1942, and went on to Banaras Hindu University to complete his Bachelor of Arts in 1944. After completion of Masters in Political Science in 1946, he left for New York, USA where he lived for five years and received his Doctorate (PhD) in Mass Communication from Columbia University. He also received the Lisle Fellowship from Chicago University, USA to study the use of educational project development through cinema. Between 1949 and 1955 in USA, he met musician 'Paul Robeson' with whom he became closely associated. He also met artist 'Picasso' in France. In November 2001, he was honoured with the Doctor of Philosophy (Honoris Causa) from the Tezpur University. Bhupen Hazarika pioneered the first state owned film studio in Guwahati, Assam, first studio of its kind in India. He produced, directed, and composed music for Arunachal Pradesh's first Hindi feature film in colour "Mera Dharam Meri Maa" in 1977. Dr. Hazarika produced, directed, composed music and sang for 32 (thirty two) films in Assamese, Hindi and other languages. He is one of the leading authors/poets of Assam and has to his credit more than one thousand lyrics and more than fifteen major books on short stories, essays, travelogues, poems and children's rhymes. He has produced and directed many documentaries in various languages. He had also produced a 52 (fifty-two) episodes tele-serial titled "Dawn" for telecast on StarTV. 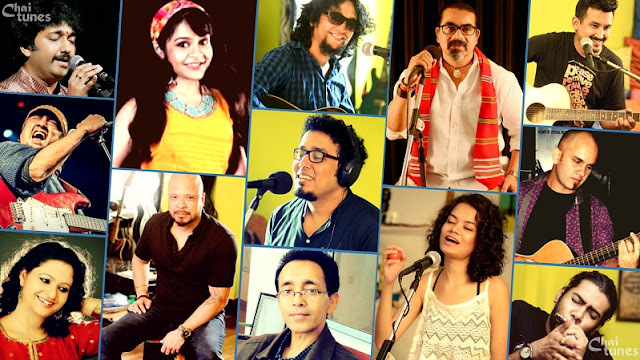 Bhupen Hazarika has scored music and sung for the highest number of Assamese films made in the past 40 years. His remarkable popularity brought him to the legislative Assembly as an Independent member between 1967 and 1972. Dr. Hazarika has won the President's National Award for the best film maker thrice - for Shakuntala in 1960, Pratidhwani in 1964, and Loti Ghoti in 1967. He won the Arunachal Pradesh Government's Gold Medal in 1977 for his outstanding contribution towards Tribal Welfare, and Upliftment of Tribal Culture through cinema and music. He also won the National Award as best music composer in India in 1977 for the Assamese film Chameli Memsaab. While he was studying in USA, he was awarded a Gold Medallion in New York as the best interpreter of 'India's folk songs' by 'Eleanor Roosevelt'. In 1977 Bhupen Hazarika got the Padamshree Award. In the same year he also got two awards in West Bengal for the best music director for the film 'Dampati' from The Bangla Chalachitra Prasar Samity and the Bangla Chalchitra Purashkar Samity. In 1978 he won two awards from Bangladesh as the best music director for the film 'Simana Periye'. In 1978, the Gramophone Company of India bestowed on him the Gold Disc for his outstanding contribution towards Indian Music. Apart from this he received more than 100 awards for his contribution towards different fields. In 1987, Sangeet Natak Academy in New Delhi awarded him for his outstanding contribution towards Indian music. In 1999, he has been appointed by the Honourable President of India as the Chairman of Sangeet Natak Akademi for a period of five years. In 1987 he won "Assam's Man of the Year" award. Same year the Government of Assam bestowed its highest award the 'Shankar Dev Award' for his contribution to Assam's culture. His biggest achievement in terms of awards would be 'The Dadasaheb Phalke Award', also considered as 'India's Oscar', which he was honoured In 1993 for his lifetime's contribution to development of Indian cinema. In 2001, he was honoured by the Government of India with the 'Padma Bhushan', one of the highest civilian awards. In the same year, he was given the 'Lata Mangeshkar Award' for his overall contribution in music by the Madhya Pradesh Government. 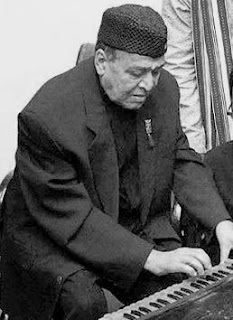 He represented India in Berlin at the World Conference of Composers who used songs as an instrument in social change. He was given the honour of inaugurating the World Seminar in Congress Hall with his own songs on the liberation of Bangladesh. In 1993, Dr. Hazarika had been conferred the highest honour by making him the President of Asom Sahitya Sabha (Assam Literary Society). Dr Hazarika married Priyamvada Patel, who belongs to the well-known Sardar Vallabh Bhai Patel family, and has a son named Tej Hazarika. He met Priyamvada in America where he fell in love with her. But his parents opposed the match. So, before he returned to India, he got married to her in America. They were separated after 13 years.